A group of vigilantes, inspired by a masked killer in Miami, fights organized crime in Hong Kong. 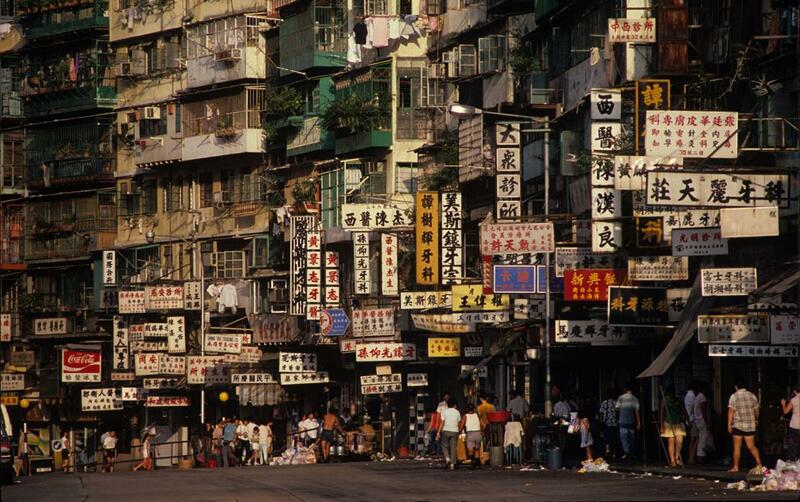 They wear animal masks and use the lawless Kowloon Walled City as a base of operations. When they learn of a meeting between triads and a corrupt cop at a local tea house, they move in to wipe out the criminal scum. What secret is the cop offering to sell to the gangsters? If the vigilantes manage to find out, will they even want to know? Perfect@! This Hong Konger loves this AP! I -want- to listen to this right now, but I have work this weekend and I should -really- save it for then. Aggggh! I love Feng Shui. I loved it before, and the 2nd edition made it even better. The rules serve the genre and tone perfectly. Love the system after hearing the excellent Jackie Chan vs Cobra themed episodes on One Shot Podcast so I’m excited to hear the RPPR crew dive into this fun cinematic system. Wow, is this the shortest time-to-combat for an RPPR game? I hope we get fan art. The masks at least. Cool, the system really seems to work great at generating the feel of Hong Kong action movies. I’m curious to see what the crew does with the wider array of fantasy and sci fi options available in the game, too. This is some of the most fun combat I’ve listened to in an AP. I’ve been interested in Feng Shui for a while, but it’s remarkable how well it works to fit everything into that action movie context. I loved how excited everyone is to use their special abilities, from trading up guns to reversing the swerve to Bam Bam Epigram. Hotline Miami seems like a pretty natural tie-in, too, between the 80s aesthetic and the incredible violence. And you had that reaction despite the fact that the RPPR crew aren’t doing a lot of describing what they’re actually doing in combat, which is a thing that Feng Shui highly encourages. Listen to the One Shot Feng Shui episodes for a sample of the game in full (albeit even more heavily pop-culture-referency) swing.